Enchantica’s Workshop is a modern studio space off Leeds Road, Harrogate. We hold creative classes and workshops for children and adults. Our unique weekly Baby Beats and Rising Stars classes and Fairy holiday clubs allow children to shine brightly, grow in confidence and learn new skills, whilst having fun. We offer many weekly classes for adults too, including pilates, yoga and mindfulness. Rising Stars classes are drama and mindfulness classes for 2-11-year-olds. Location: Fantasy Kids Clubs T/aEnchantica’s Workshop, Unit 9 Beech Avenue, Harrogate. HG2 8DS. 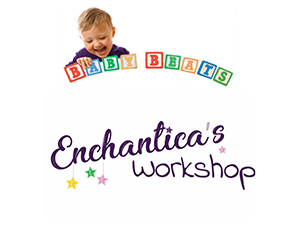 How to use: Contact directly on 07875 275447 or info@enchanticasworkshop.co.uk and mention myLifePool. Terms: Not in conjunction with any other offer. No refund given for any missed classes.